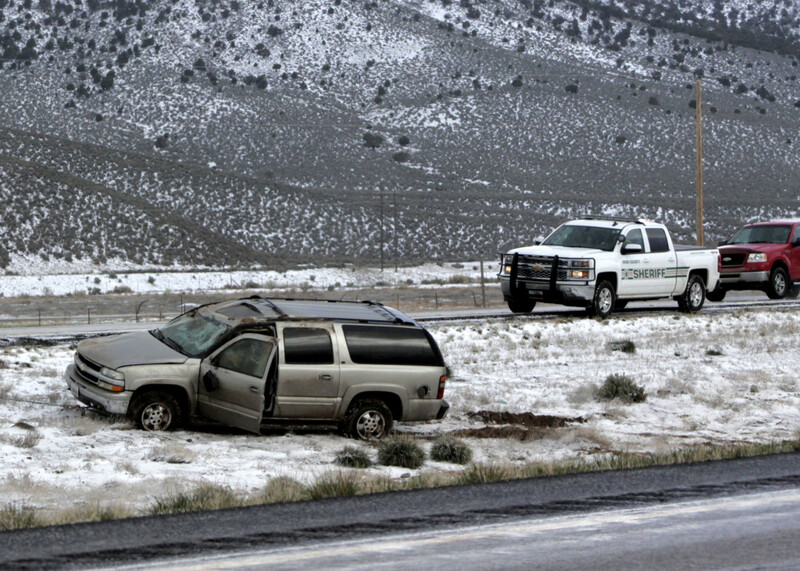 IRON COUNTY — A series of early Saturday-morning rollovers on Interstate 15 near the state Route 20 junction sent six people to the hospital to be treated for injuries and killed a female passenger in one vehicle. 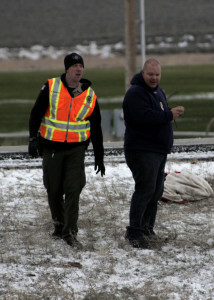 The woman who died was en route to Salt Lake City for her mother’s funeral. 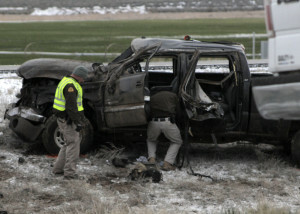 All three accidents occurred in a 17-minute span between 6:57 and 7:14 a.m., Utah Highway Patrol Sgt. Ryan Bauer said. 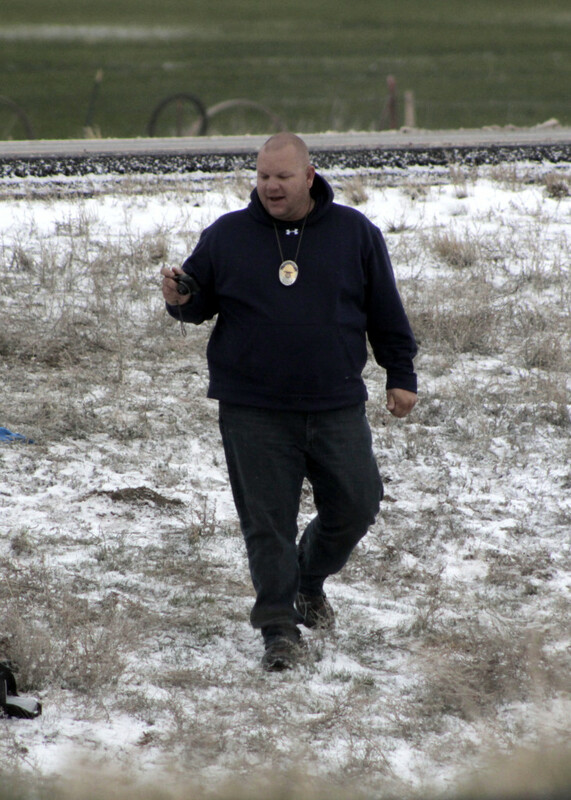 They took place within a 1-mile stretch of the interstate in the area of mileposts 94 and 95. 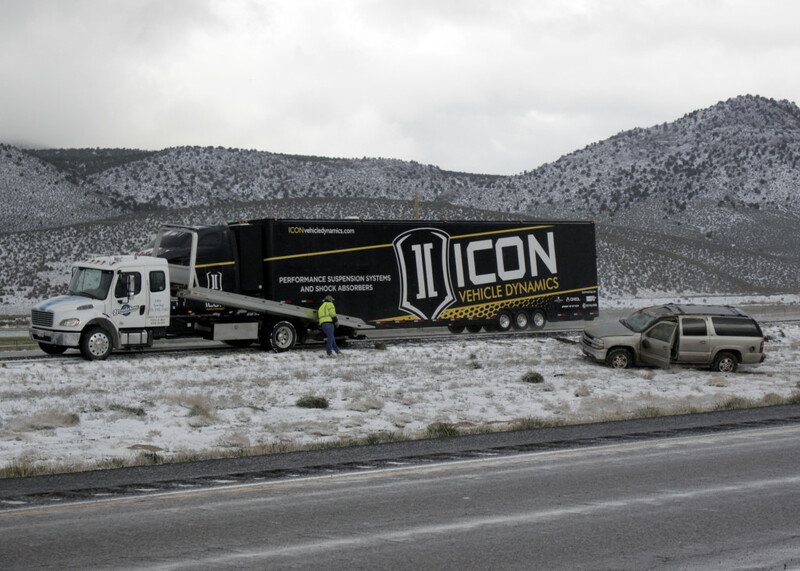 Low temperatures, combined with a fast-moving storm that left moisture on the road, caused black ice to form, he said, and although the storm had passed through already, the roads had not yet recovered. 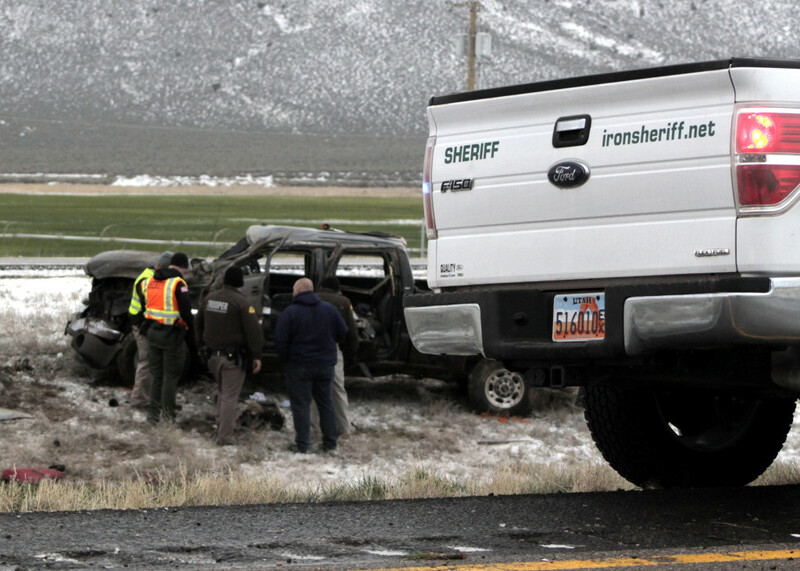 UHP handled the crash that involved the fatally injured passenger at milepost 94, Bauer said, and Iron County Sheriff’s Office helped with the two subsequent rollovers near milepost 95. 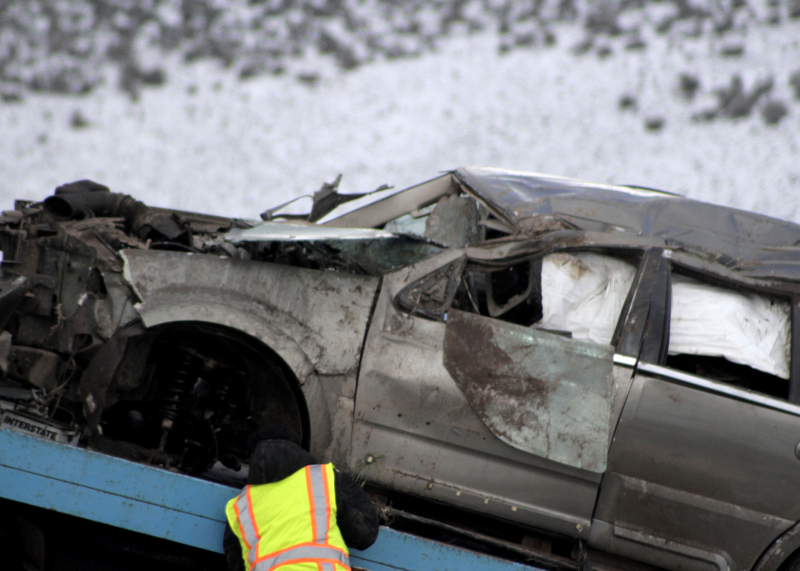 The male driver of the black Chevy truck that rolled first was traveling north with his girlfriend and her adult daughter when they lost control on the ice, Bauer said. The driver’s girlfriend, who was from Mesquite, Nevada, was pronounced dead on the scene and her daughter, also from Mesquite, Nevada, was sent by Life Flight to Dixie Regional Medical Center in St. George. The driver of the Chevy, who is from Hurricane, was transported to Beaver Valley Hospital in Beaver by Beaver Ambulance, Bauer said, where he was interviewed about the events leading up to the crash. With weather like this, Bauer said, people just need to be aware of the road conditions and drive safely by slowing down, paying attention and buckling up. 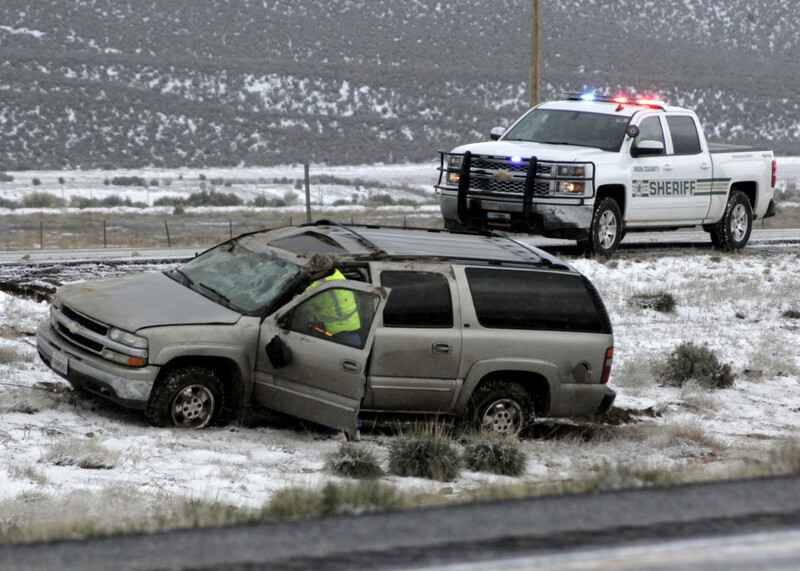 Iron County Sheriff’s Deputy Dan Raddatz said he was confident the only reason four passengers survived in one of the two rollovers he worked Saturday morning was because of their seat belts. 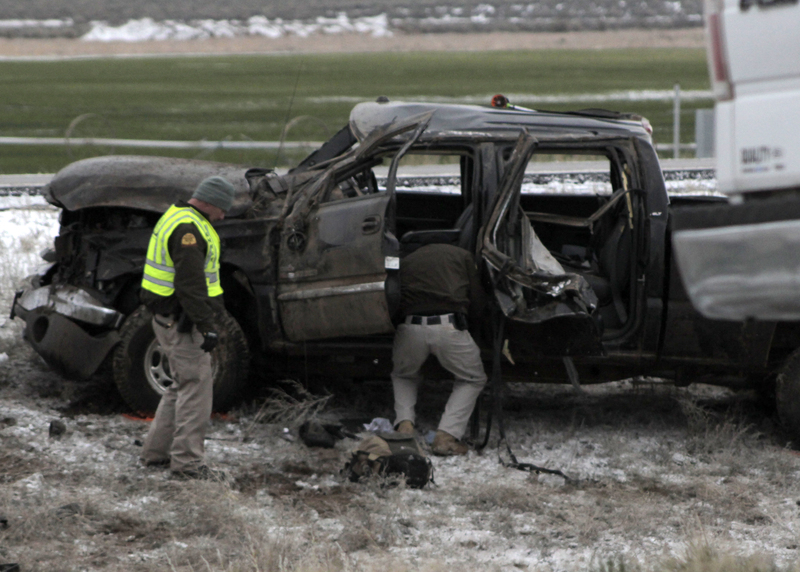 The four people in the Lincoln Navigator — a St. George man traveling with his daughter, son-in-law and grandson — were also on their way to a funeral in northern Utah, Raddatz said. 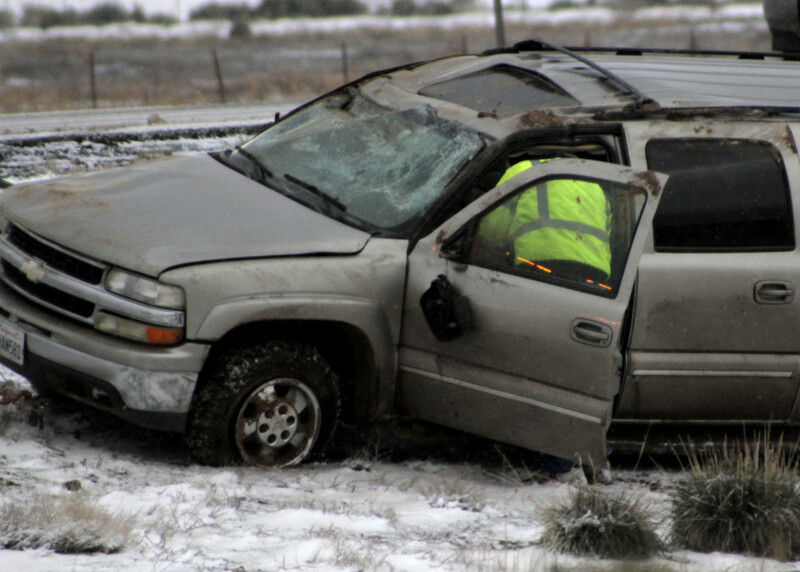 The Navigator rolled four times from the northbound lanes landing in the median, Raddatz said, but thanks to seat belts and full airbag deployment the injuries were much less severe than those in the Chevy truck that preceded it. Each occupant sustained minor injuries, he said, adding that the daughter, who was driving, complained of a possible broken arm but wouldn’t let him close enough to evaluate it. All four occupants of the Navigator were transported by Beaver Ambulance Service to Beaver Valley Hospital. 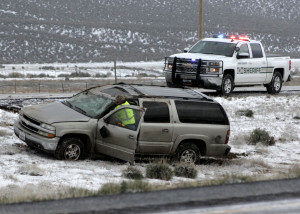 The six passengers of the Chevy Suburban that rolled only a few yards away from the Navigator were all uninjured, Raddatz said, adding that once again, seat belts played a role in the severity of the outcome. There were three adults and three children in the Suburban, he said. 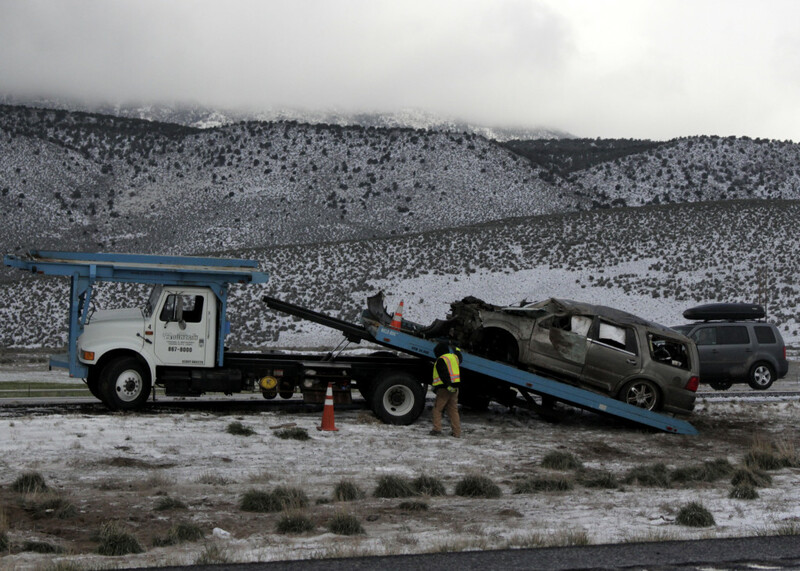 They were traveling north on I-15 heading to Colorado from California when the accident occurred. 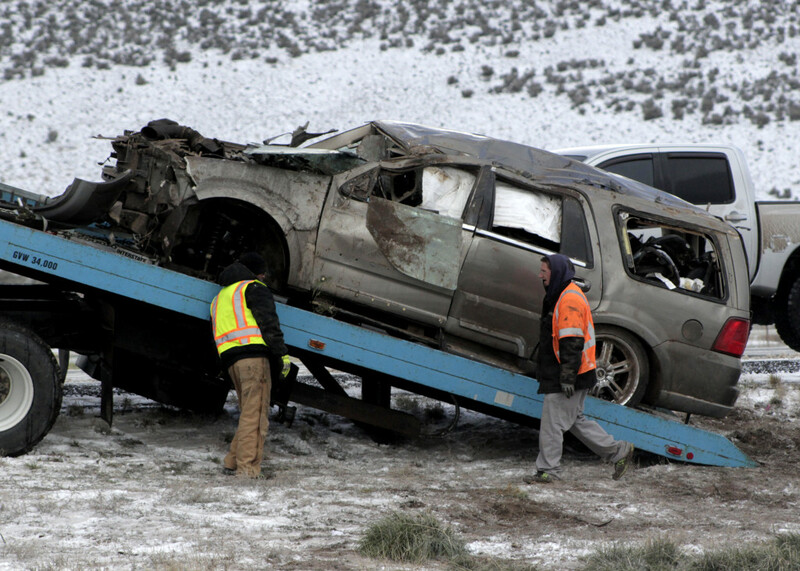 “I had the children in the car with me most of the time keeping them warm,” Raddatz said. The female driver of the Suburban reported to Raddatz that she was traveling at around 50 mph when she lost control and rolled once, also landing in the median. No airbags deployed. When comparing the three accidents, Raddatz said, the most important lesson to learn in all of it is that seat belts save lives.